As a pet owner, you will realize that it becomes very hard to go away, especially when you are going somewhere you can’t take a pet with you. However, you don’t need to worry about your pet as you can hire a professional sitter – a professional who will take care of your pets while you’re away. Professional pet sitters offer different services that range everywhere from taking your pet for a walk to staying overnight in your home to make sure everything is flowing smoothly. There are, therefore, several reasons why you should pick a professional sitter to help you take care of your pet whenever you are away. Since a pet sitter will come to your home, your pet will be able to do everything they are used to doing. Since many pets don’t adapt to new surroundings, this can be a great option for pets that tend to stress out easily. As opposed to having a friend or family member taking care of your pet, a professional will pay close attention to your pet when they are visiting. Oftentimes, these professionals will spend 15 to 30 minutes interacting with your pet and writing up a small report when they are done. While there isn’t anything wrong with a family member or friend taking care of your pet, most of the time, they will just come and go, making sure the food and water is fresh. Most pet sitters have been in the business for quite a while and probably have seen it all when it comes to situations. This helps you relax and enjoy your trip as you are assured that your pet is getting the best care from a trained person who will know whenever your pet has a problem. So if your pet were to get sick or even get into something, your sitter should know what to do. Since the sitter stays at your house taking care of your pet when you are away, most of them have an insurance policy that covers you in case anything happens to your house or your pet when you are away. 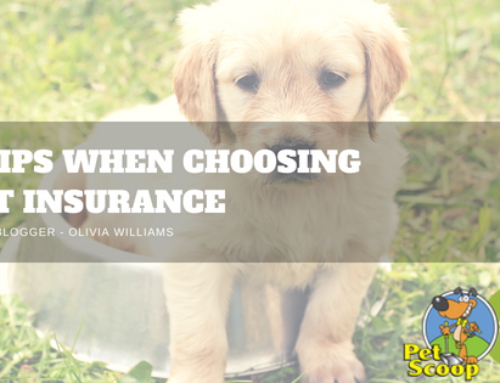 Before hiring any pet sitter, always make sure they are bonded and insured. Though pet sitters provide their services purely for your pet, they will also check on your house since they are visiting, and this is like another layer of security. Many pet sitters will be more than happy to get the mail, water some plants and do a check around the house. Keep in mind, however, that some may charge an additional fee for these services. In case your pet requires some medication or special food, this shouldn’t deter you from getting a pet sitter. In fact, many are used to administering medication and performing other medical duties. Regardless of what your pet needs, your pet sitter will be able to accommodate you. Stephanie Lynch is from the website Howmuchisit.org — the Internet’s largest cost-helping database. Aside from working, she enjoys spending time with her children, enjoying the outdoors and scrapbooking.